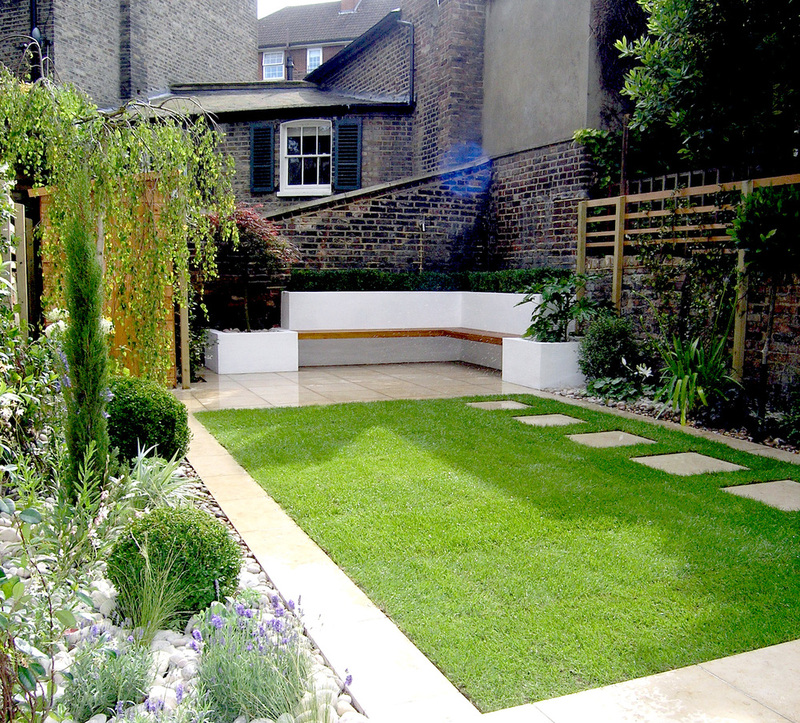 This modern garden design in Islington, North London combines contemporary light limestone paving with a spacious lawn. 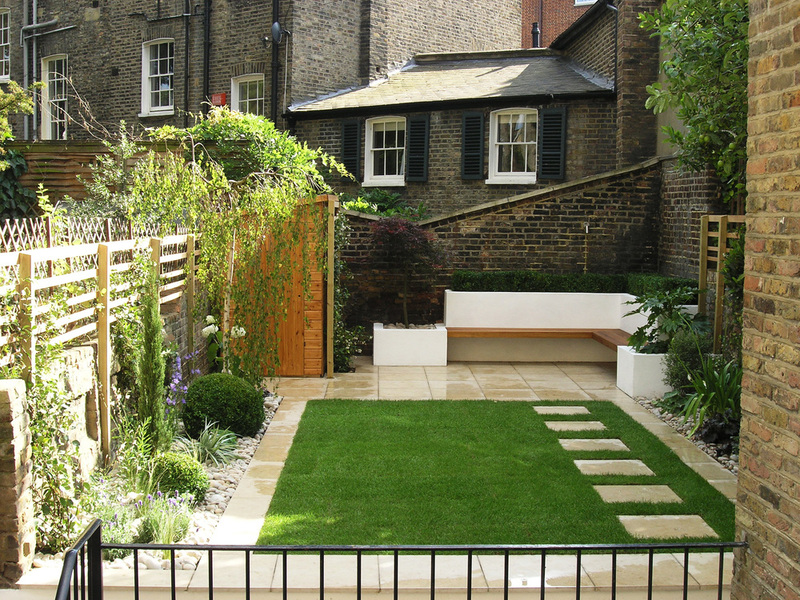 A patio walkway steps up to the stone surround and sets the level for the remaining scheme. 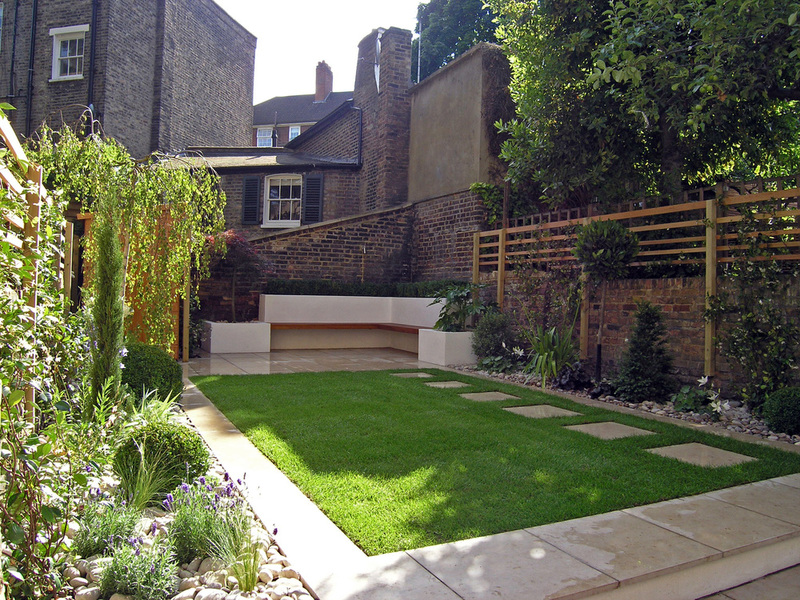 Borders flank the lawn on either side with low maintenance structural planting and uplighters. Selected herbaceous perennials provide Seasonal interest and colour. 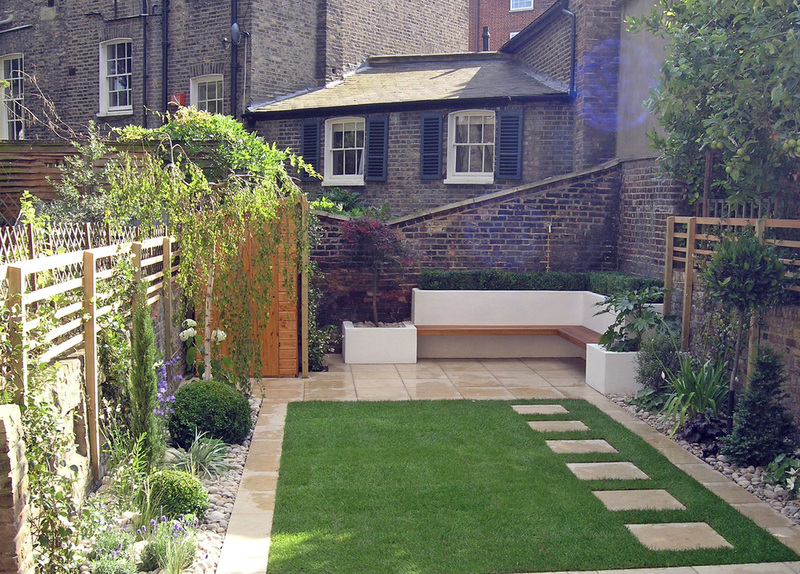 Stepping stones lead to the limestone living area at the rear of the garden, where a modern floating, L-shaped underlit Iroko bench and rendered planters create a space to entertain and complement the geometry of the neighbouring building behind.